At the Best Western Premier Mount Pleasant Hotel you can experience a wide range of culinary delights in our Garden Restaurant. In our spacious but intimate restaurant you can enjoy seasonal menus with delicious dishes made from fresh local ingredients. 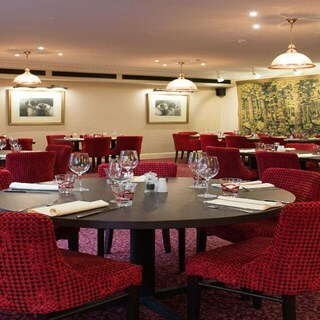 Our expert chefs can cater for private meals in one of our Lounges or parties of up to 80 in the Garden Restaurant. If you are looking for something a little less formal The Captains Bar Lounge offers a wide range of Light Snacks, Bar Meals and Afternoon Teas. As we were staying at the \hotel we gave the on site restaurant a try. There is a reasonable choice of food and my fillet steak was cooked to perfection.Sea bass was an odd choice of fish to pair with a spicy chorizo and bouillabaisse sauce, cod would have been better. The service was prompt and friendly without being formal or invasive. I would dine there again when staying at the hotel. Excellent meal, ambience & service. Staff were really friendly and welcoming, and the food was absolutely wonderful. I had the Chefs roast and it was lovely and hot. We went for our wedding food tasting and it was fantastic. We was seated straight away and even though it wasn’t busy in the garden restaurant we was given the option to go to the front restaurant which was nice of the staff. However we decided to stay in the garden restaurant. The waiter was really friendly and fast with serving us. Wasn’t pushy either which we like. Food was fantastic and we were impressed by how much we got we was not expecting anything like the portions we received. After finding out we would get the same portion size at our wedding in July here we was over the moon. Thank you mount pleasant would definitely be back before or after our wedding. Always enjoy the Sunday Lunch, good value for money and very tasty. All staff are lovely and very attentive. Would like to single out the two older ladies (can't remember their names} but always very pleasant and can't do enough for you. Really loke the resturant makeover. Had a lovely pamper session at the spa followed by afternoon tea. Was a lovely treat and we all enjoyed it . Food was delicious ! Artisan soft bread might be a nice alternative instead of sliced baguette, crust is quite firm.My other point is on the mocktail menu, the names are quite inappropriate  as they can be ordered by younger people as well as adults, embarrassing!!! 2nd time here and excellent as before. Lovely place, great room and food. Fantastic value for money. We did the ESPA escape package. As always we had a lovely stay. The room was so relaxing, everything was spotlessly clean. The food was delicious and the staff were so efficient, friendly and helpful. Will definitely be back. Had a great evening at Mount Pleasant, and despite only living 2 miles away it was a very welcome treat. The staff made us feel very welcome, and the service was exceptional and without fault. An example of the service was that we wanted a starter (that was not on the menu), and the team without hesitation prepared it. Food was great & service was good. Unfortunately it was very quiet night so we ate in the bar rather than the restaurant. Afternoon tea was amazing. Great choice of cakes and open sandwiches, great service and will definitely recommend. I made this booking well in advance but unfortunately the service on the day although friendly was slow and we were left waiting around for a long time between ordering and receiving our main meal and then desserts. We felt the food was overpriced for what it was, especially the children's meals and drinks. The children's desserts were far too big. We asked for additional drinks and were told we would have to wait as there was only one member of staff working. We had some friends from London visiting us and decided to take them to Mount Pleasant to impress them. We only ordered one bottle of wine but the bill came to £175 for four adults and four children. So unfortunately we left feeling a bit embarrassed for our friends as it was not as impressive as I remember it. I don't think we will visit again. We stayed in a ground floor family room which was an extremely large room with a wonderful bathroom, 1 x double bed & 2 x single beds. My sister and I brought my mother for her 91st birthday so this room was ideal for 3 adults. We ate dinner in the restaurant and although non of us could finish our plates we thoroughly enjoyed it. Staff both around the hotel and in the restaurant are professional and efficient whist remaining friendly.. We will definitely return. Thankyou to everyone. Innovative new menu.Food well cooked.Nicely presented.